Bob Bennett was an American politician, businessman and senator for the state of Utah. He passed away in May 2016. Bennett was born in Salt Lake City, Utah in 1933. His father, Wallace Foster Bennett, was also a United States Senator. Bennett is also the grandson of LDS Church president Heber J. Grant. He attended East High and then went on to graduate from the University of Utah with a degree in political science. Bennett joined the National Guard and spent six months on active duty, and was then commissioned a Chaplain in the Guard and remained in service until 1960. In 1962 he left his position at Bennett’s (the family paint and glass company) in order to work full-time on his father’s re-election campaign. The next year, Bennett moved to Washington to be a press secretary for Utah Congressman Sherman P. Lloyd. He later went on to serve as the Administrative Assistant to his father. Bennett became involved in several successful businesses over the year. In 1992 a Senate seat opened up and Bennett decided to run. He narrowly won the Republican primary, but went on to defeat his Democratic opponent. 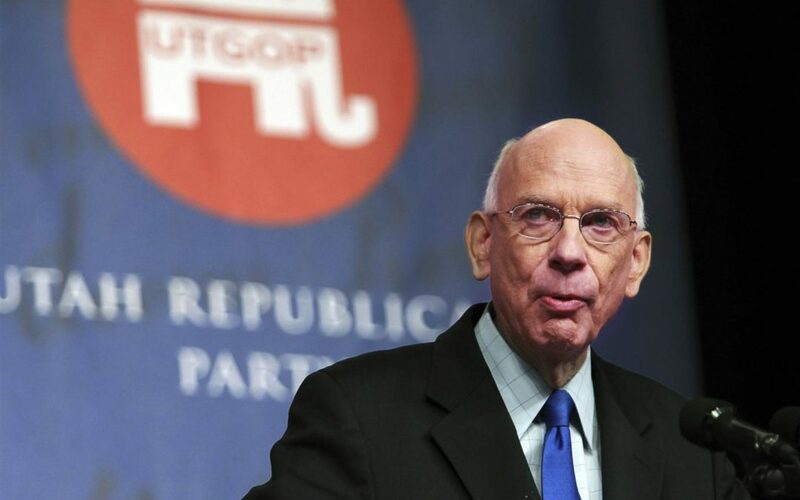 He went on to win elections until 2010 when he was defeated at the Utah Republican Convention where he finished third to Mike Lee and Tim Bridgewater. During his time, Bennett was a very popular senator who was extremely conservative. In 2010, however, Bennett was targeted by the new Tea Party Movement. They called criticized his support of the Bush Administration’s bank bailout and believed that he was not truly a conservative. After leaving the Senate, Bennett became a senior policy adviser for the Arent Fox law firm. Bennett passed away in 2016 at his home in Arlington, Virginia. He has suffered from a stroke and pancreatic cancer.